I say you there, yes you, put down that pair of novelty socks, step away from the World’s Best Dad “Trophy” and take a look at our guide to the best whisky presents that money can buy, (in our humble opinion of course). If your Dad, Granddad, Uncle, or whoever the main man in your life is, loves all things whisky then here are a selection of gifts for all tastes and all budgets. First up Whisky itself, bottle upon bottle, all tastes catered for. Here’s a selection that we have put together, all reasonably priced, all good “stock” whisky that make great presents. Why not treat your Dad to a bottle of The Macallan Gold, the first expression in the innovative 1824 Series, which showcases this single malt’s natural colour and is matured in 100% sherry seasoned oak casks. The Macallan Gold has notes of vanilla followed by dark chocolate, with lingering floral and light oak notes. This is a gentle whisky, and when I tasted the entire 1824 range, this came out as the easiest drinking, there was plenty of smooth vanilla, which then dries into a bitter dark chocolate finish. It’s delicate and perfumed, almost untouched by oak, just very gentle oak notes that kiss the roof of your mouth. This is a perfect whisky for those who like a light style, or are new to the world of whisky, or even if you are just unsure of the person’s whisky “style”. The Macallan Gold is available in multiple retailers including Tesco, Waitrose, Sainsbury’s, Asda and Morrisons (RRP £35.99). See the Macallan website here. Highland Park 12 Year Old is the perfect gift for Dad’s who are fans of its distinct flavour. This single malt whisky boasts a honey sweetness, followed by fruity notes with a hint of gentle smoke and a flavour that just keeps on delivering. My thoughts on this “Toffee straight on the nose, with crisp apples soon after, warm hay, boiled milk and just a wisp of smoke. On the palate, smoke, ashes and soot, far more than promised on the nose, before sweet fudge notes and creamy milk chocolate take over, pushing back the smoke. Drying and gritty, before leaving a smooth coating over the palate”. Highland Park 12 Year Old is available at multiple retailers including Tesco, Waitrose, Sainsbury’s, Asda, Morrisons and Co-op (RRP £34.04). For more information see Highland Park’s website here. 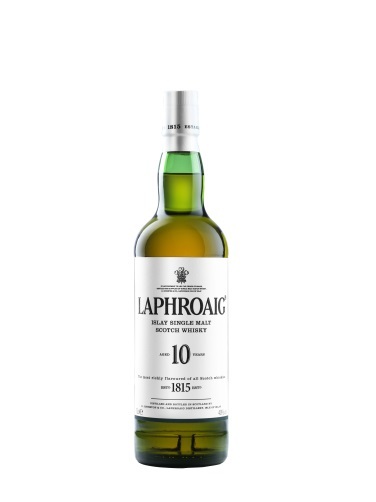 The classic 10 Year Old Laphroaig offers a bold smoky taste followed by a hint of seaweed and a surprising sweetness. This is the foundation of the iconic Laphroaig range and makes the perfect Father’s Day gift for fans of the unique peaty character offered in any of Laphroaig’s signature expressions. Read our tasting notes here. Laphroaig 10 Year Old is available in all major multiples including Tesco, Waitrose, Sainsbury’s, Asda (RRP £35.10). See Laphroaig’s website here. Ardmore Traditional Cask is the perfect whisky for a Dad who appreciates time honoured craftsmanship. Ardmore has continued to adhere to their traditional ways of distilling since 1898, when the distillery was first founded. This single malt whisky offers a full and rich taste, with unique and rare highland peat-smoke tones, followed by a smooth, subtle sweetness. “What a nose! Butterscotch with plenty of fresh oak, toasted pine nuts and vanilla marshmallows melted over a peat fire. On the palate, is fresh custard, clotted cream, sugared almonds, and just a hint of the oak, which stops this from becoming just too sweet, there are lovely malted cereal notes here, think digestives and hot milk. This is a fantastic dram, vanilla sweetness perfectly balanced by the gentle peat and star anise, with just a pinch of black pepper“. Ardmore Traditional Cask is available in selected major multiples including Asda and all good whisky shops (RRP £32). See Ardmore’s website here. This Glennfiddich Signature Malt is matured in the finest Oloroso sherry & bourbon casks & is renowned for its beautifully balanced nose & refreshingly rich complex flavour. Distilled and matured in the valley of the deer where the distillery has stood since 1887. My thoughts “with gentle pear and honeyed apple sweetness, backed up with lashing of cream and vanilla, this is a sweet, easy drinking dram, incidentally it’s great over good quality ice cream too”. This is currently on offer at Sainsbury’s at £27. 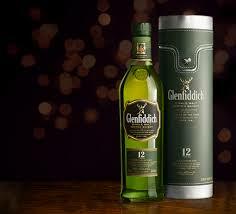 See Glenfiddich’s website here. This “Vatted” Speyside Malt is a Small Batch bottling created using only the finest Speyside Malts including Mortlach, Macallan and Glenrothes. Bottled at 46% alcohol strength and non chill-filtered, this Small Batch bottling has a distinct rich, dark colour, extracted from the many fine Spanish Sherry Butts used during maturation. The result is a truly charming Malt with a richly spiced character fused with vanilla (from the bourbon casks used), sweet stewed fruit, Christmas pudding, dark chocolate, zesty orange and sweet tobacco. For our full tasting notes see here. This is not only a great dram but with some very cute packaging too and it’s available from the Master of Malt website here at £39.55. see also the Douglas Laing website here. Exclusively matured in first and second fill ex bourbon casks, then blissfully married together, Small Batch exhibits the best qualities of both. First-fill bourbon offers delicious vanilla sweetness, subtle spices and bourbon oak smoke to complement Bowmore’s gentle peaty smokiness, while the second-fill cask enhances Bowmore’s fresh fruity complexity and showcases its trademark honey and creamy malt character. To see our full tasting notes read more here. Bottled at 40% ABV and NAS (non age statement), and is a rebranding of the former Small Batch Special Reserve. 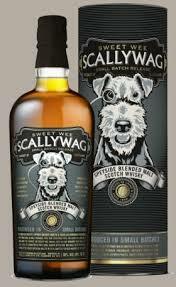 Widely available from many supermarkets and all good whisky shops at an RRP of £37. 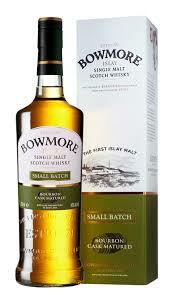 See Bowmore’s website here. 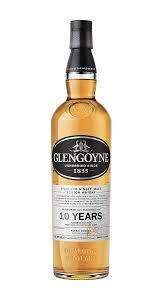 You can purchase a personalised bottle of this for £40, you will also receive a free glass water jug when you sign up to the Glengoyne family. Order by the 9th of June from their website. With fresh green apples, toffee and a hint of nuttiness on the palate, this is the taste of distilling slower than anyone else in Scotland, of barley the distillery dry by air – never peat – and of oak casks selected by hand. Bottled at 40% ABV, 70cl. Distillery Tours are special occasions any time and a great gift idea. Here are couple of more “exclusive” tours but most distilleries offer an entry level tour as well as others a little more special. Much like our curiously small stills, our small groups are limited to just 10 people to ensure a luxurious, personal experience. Your friendly and knowledgeable guide will explain how we create The Macallan’s rich spirit in a working still house and introduce you to the ‘Six Pillars’. You will learn how our unparalleled investment in the finest casks contributes to the natural colours, aromas and flavours that set The Macallan apart. After a thorough immersion into the world of The Macallan, you will experience a nosing and tasting of four The Macallan whiskies as well as their very foundation, our wonderfully rich new make spirit. Tour duration: approx. 2 hours 15 minutes. Price per person – £15 proving that you don’t always have to spend a lot of money for a personalised tour. Learn more here. This is a tour, that I can personally recommend, having been lucky enough to recently join one. Here you will have a full guided tour of the Distillery as well as areas that only the Warehousemen and Malt Master usually see. You also have the opportunity to bottleyour very own single malt from three casks specially selected by our Malt Master to take away as a very special souvenir, which is a piece of history unavailable to buy anywhere in the world. To end the tour you will then nose and taste the Glenfiddich 12, 15, 18, 21 and 30 Year Old. This tour is £75 per person, due to high demand book with the distillery directly here. Apart from in the glass, the best way to get to know The Balvenie is by coming to see the distillery. We like to keep our tour as personal as possible, so each is limited to a maximum of eight people. There are two tours a day and pre-booking is essential. Our tour costs £35 per person. Bottling your own Balvenie in Warehouse 24 costs £25 and is only possible as part of a Balvenie tour. Book directly here. 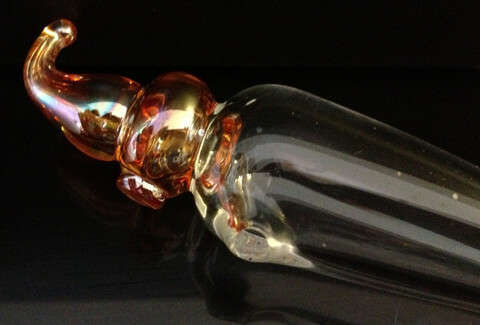 The Angels Share Glass combine hand blown glass and whisky to make stunning “Angels”. Tom Young master craftsman has been glass blowing for over 60 years, using a process called lamp / flame working, each design is born in a small studio in Bridge of Allan, Stirling. Tom and his daughter Karen make a variety of wonderful whisky gifts, perfect for Father’s Day. 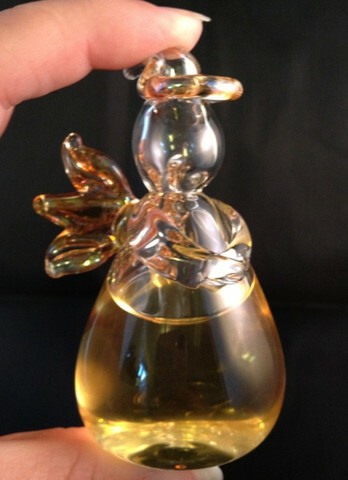 The Angels’ Share Whisky Angel is a truly unique piece of hand blown glass. Every single angel is uniquely designed to hold whisky through a secret process known only to the skilled craftsmen who have created it. Holding 25ml of Scotch whisky this remarkable design allows the spirit to be captured in molten glass without combusting, 70mm beautifully boxed and with delightful story. Our Whisky Diluting Dropper is displayed on the beautiful oak of a Darach cask stave, the grains complimenting the glass and making the perfect backdrop to the perfect dram glass with Angels’ Share Logo. Ideal gift for the whisky lover. Just one drop of water can change the composition of your whisky.so… if you like a wee drop in your dram?…The Whisky diluting dropper allows finer control releasing one drop of water at a time. 200mm length in velvet lined box. A whisky Pot Still or Thistle elegantly tops this neat whisky tool, the choice is yours! Brought to you by our friends and business associates Whiskywood this great Oak key ring fashioned from the lids of whisky barrels has our own trademarked logo on one side and famous whisky quotes on the other. You can buy these in specialist outlets and directly from their website here. As you can see there are a wide range of gift for the whisky lover in your life! Don’t forget Father’s Day is Sunday 15th June.